An Ikelite housing improves your photos. TTL or "Through-The-Lens" flash metering means the camera controls flash duration to properly expose an image. The Ikelite housing for the Canon EOS 70D includes built-in proprietary circuitry which tells your camera that a TTL external flash is attached, allowing the camera to adjust exposure more accurately**. Spend more time showing off great photos, and less time tinkering in Photoshop. 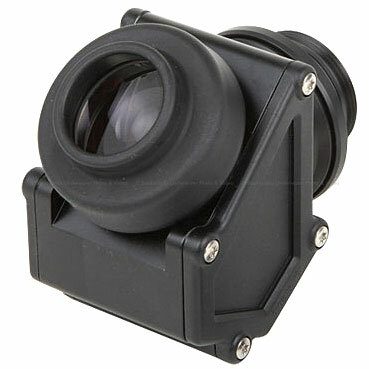 Standard viewfinders reduce original image size for full view of the corners and shooting data. The Inon 45 viewfinder is a prism optic that greatly magnifies original image size and thus reduces eye strain and improves composition. The Inon 45 rotates for vertical use. Price includes custom installation. Fiber optic slave flash units require the camera's flash to fire every time. This constantly drains your camera's battery life, builds up heat inside of the housing, and creates a shutter lag as you wait for the camera's flash to recycle in between shots. The Ikelite housing for the Canon EOS 70D translates direct electrical impulses from your camera, triggering your strobe and precisely adjusting its power without the need to fire the camera's flash. Full flash control, right at your fingertips. Exposure adjustments directly through the back of the housing put the perfect shot within reach every time. Tweak your TLL exposure or take total manual control without taking your hand off of your housing. Two pushbuttons below the camera's LCD viewfinder act as a remote control for Ikelite DS-series strobes**. Access plus/minus exposure compensation in TTL mode, plus 7 manual power settings in half-stop increments. Strobe settings are indicated by a series of LED lights and plainly visible even at night. Controls are customized to put all important camera functions within comfortable reach. We bring video record start/stop and AF lock out to the side of the housing for quick access using your thumb without taking a hand off of the handles. For a system of this caliber, a tray with dual handles is essential to good handling, balance underwater and attachment of external lighting. An aluminum tray with right- and left-hand rubberized grips is included with the Ikelite housing for the Canon EOS 70D, providing balance and comfortable hold, plus two quick release points for strobe and video arms, and tripod attachment holes. The complete handle assembly removes with just two screws for traveling. NOTE: A lens port is required for waterproof operation. Like every Ikelite product, this housing for the Canon EOS 70D camera is designed, built and tested in the USA. We use locally sourced, top-grade materials from trusted vendors we've been working with for decades. Our housings are built by hand and individually tested for fit, function and waterproof integrity. The average assembly technician is a certified scuba diver and has over 16 years of experience building Ikelite products. We back our products with over 50 years of experience and service within the dive industry. Controls: All important camera functions. Controls are not provided for Dioptric Adjustment Knob, Flash "Pop Up" Button, Multi-Function Lock Switch, Depth-of-Field Preview Button.